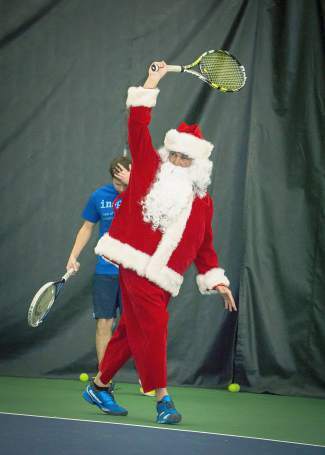 Santa was spotted at the Breckenridge Recreation Center playing tennis this week. Santa is stopping by the Stephen C. West Ice Arena to see all the good boys and girls before he heads back to the workshop on Thursday, Dec. 24. Take a spin on the ice with Santa to kick off three of the day's public ice skating sessions at 11:30 a.m., 2 p.m. and 4:30 p.m. Regular public skating fees apply. 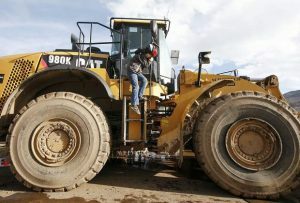 5 p.m., Copper Mountain Resort, 209 Ten Mile Circle. On Christmas Eve, Copper will dazzle with yet another visit from Santa himself, along with a childrens Glowstick Pageant and a Torchlight Parade down Main Vein. Before you head home to set out the milk and cookies for jolly St. Nick, enjoy a festive fireworks display over the mountain. 11:30 a.m., 2 p.m., & 4:30 p.m., Stephen C. West Ice Arena, 0189 Boreas Pass Road. Take a spin on the ice with Santa to kick off three of the day’s public ice skating sessions. Regular public skating fees apply.